I have spent the last three years going through cancer treatment hell and have survived against all odds, thanks to a new treatment approach called immunotherapy. I haven’t shared much of my journey as it was happening between 2015 and 2017, but now that it’s all over, I have an amazing story to tell. Interested? Check out the quick facts here, or wait for my new book to come out. BROKEN BOWELS – Tales of a Super Survivor. 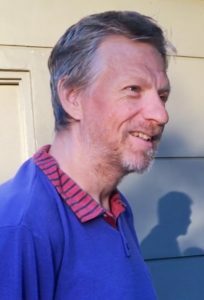 It tells an amazing story of how the conventional treatment methods didn’t work in my case, how we were refused further treatment by one hospital, and how I made a miraculous recovery against the odds – all thanks to faith, a crack team of experts across two rival hospitals, and an immunotherapy drug called Keytruda. PS: I’ve narrated the whole book too, so if you don’t have time to read it, you can listen to it on Audible.com and iTunes. It’s over 15 hours long (I guess I had a lot to say). 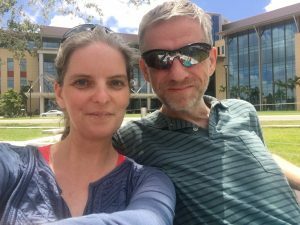 Julia and I are in the midst of setting up a dedicated Super Survivor website where we will share experiences and practical tips on how to overcome the many headaches that cancer treatment involves. The site will also feature personal video diary footage from both my treatment days as well as post-survival experiences. It’ll be a place to share stories and hear from other Super Survivors too, and hopefully get insights from my crack team of doctors and nurses, as well as other amazing people we met along the way. 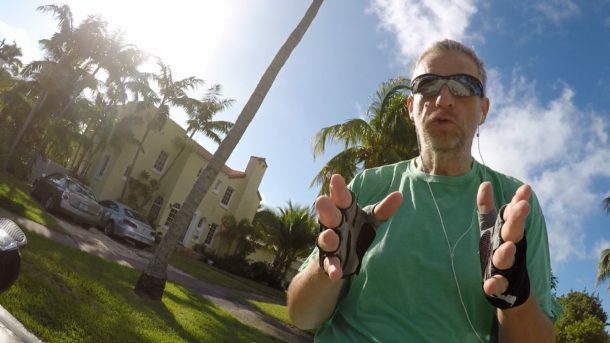 Join me while I’m riding my bike through Miami Beach, and see how my life and treatment is progressing throughout 2018 and beyond. What’s a Super Survivor again? Regular cancer survivors are people who have survived through conventional cancer treatment, usually a combination of chemo and radiation therapy and often surgery. Super Survivors on the other hand are those of us for whom conventional treatment options didn’t work. We are surviving with a new breed of drugs known as immunotherapy, an approach to cancer treatment that allows the body’s own immune system to recognise and fight the disease. 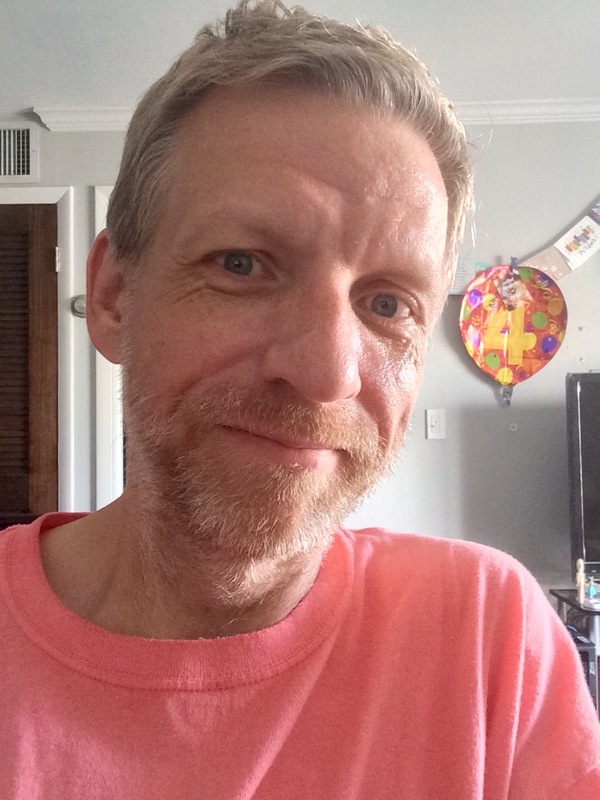 You might describe me as a restless creativity junkie with many interests: I’m a connoisseur of 3D software, a Broadcast Professional, occasional iOS Developer, and I have a somewhat popular YouTube Channel called The WP Guru. It became so popular that I decided to use another channel for behind the scenes ramblings and diary style vlogging here – very often while riding my bike. I’m also a loving husband and run a small web hosting company. 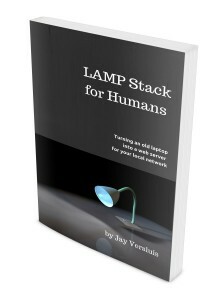 And did I mention that I’m the author of a book called LAMP Stack for Humans? It’s a book about how to setup as an inter-office web server, so you can operate all those interesting browser based projects in the privacy and security of your own home. No “cloud access” required. In 2012 my wife Julia and I sold our properties in the UK and moved permanently to the US because we won a Green Card in the Diversity Lottery. Before that I used to split my life between being a freelance broadcast professional in London and setting up websites for people. You can find out more about that part of my life here. If you enjoy what I do and help make the world a better place, you can join the many super awesome people who support me on Patreon. You’ll even get exciting perks in return, anything from free copies of my books and 3D products, to web hosting and exclusive behind the scenes footage. Feel free to explore the many tabs at the top of the navigational menu, or contact me below. Before you do, please consider leaving a comment on any of my many articles and videos that are dotted across the web. I read them all, and I try to answer them all (even though at times it might take me a while to do so). Public conversations will help others who might have the same question or those who want to join in.